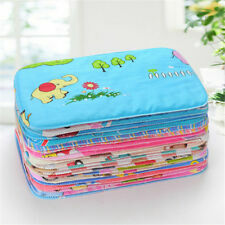 1 X Baby Changing Mat. Laminated cotton fabric is waterproof ,portable & washable. Protects baby from dirty surfaces. Material: Cotton. Generously sized for full body protection. Fully padded for comfortable changes on the go. Fits over the bottom sheet to protect mattress. When the bed is wet there's no need to remove the sheets, just the Waterproof Sheet Protector. 100% waterproof with non-slip backing. Bleachable, machine washable and dryable. Prevent the urine from flowing on the bed or baby body. Waterproof and breathable, baby red PP farewell. 1 x Changing pad (Random Color). Soft cotton material, do not wrinkle deformation, let your baby more comfortable. (Prevent the urine from flowing on the bed or baby body. Waterproof and breathable, baby red PP farewell. 1 x Changing pad （Random Color). 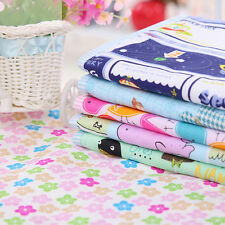 Soft cotton material, do not wrinkle deformation, let your baby more comfortable. A snappi baby is a happy baby. Item type: Snappi / Cloth Diaper Fasteners. Child Girls Waistcoat Bridesmaid Flush thickening Fur shawl New wedding. Lovely baby, nappy fasteners. Suitable for gauze diaper.